With a few extra charges for baggage fees, and a lot of help from the airport luggage carts, we successfully returned to Wooster to begin processing our samples and photos. For the samples that we want to analyze for geochemistry, our first step is to powder them. 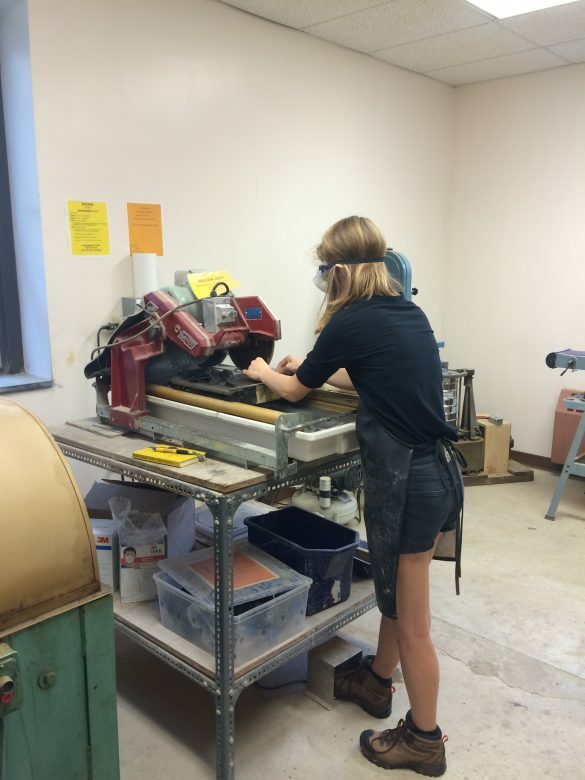 Rachel Heineman (’17, Oberlin College) is cutting her samples on the rock saw. 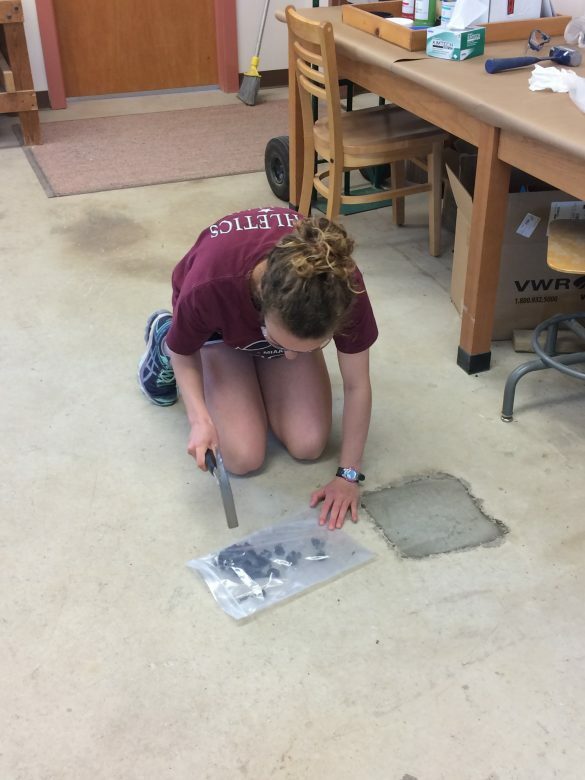 Cara Lembo (’17, Amherst College) is hammering her rocks into smaller pieces, preparing them for the shatterbox. Every student has a project box in which they’re keeping all of their materials. 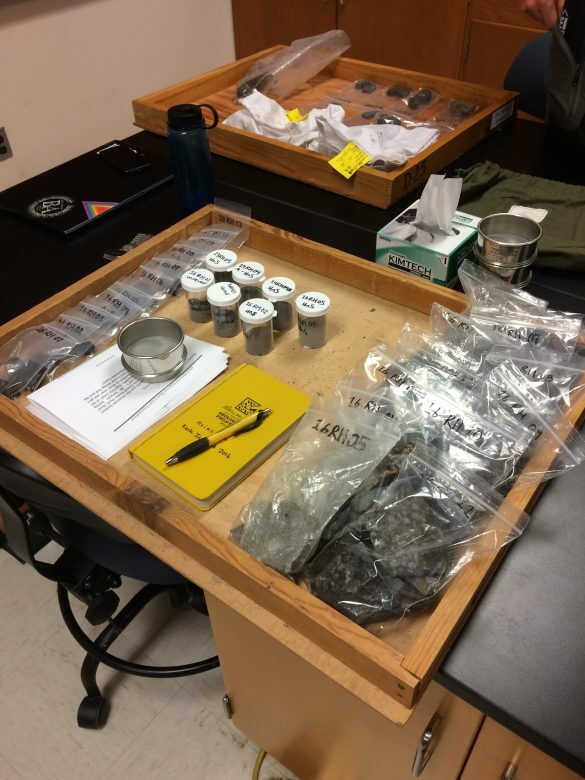 Rachel’s is organized with thin section billets on the left, powders in the middle, and pieces to archive on the right. For samples that we want to analyze for trace elements, we prepare pressed powder pellets. 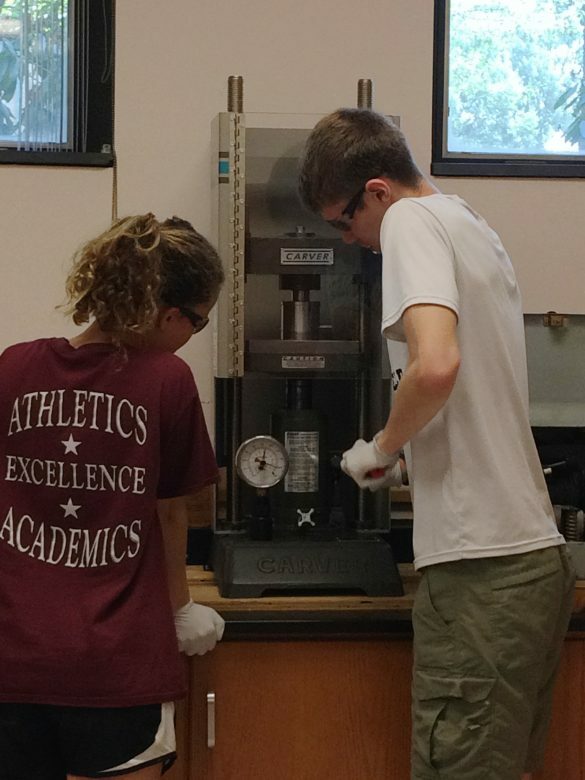 Carl-Lars is showing Cara how to use the manual press to compress the powder in the die into a solid pellet. 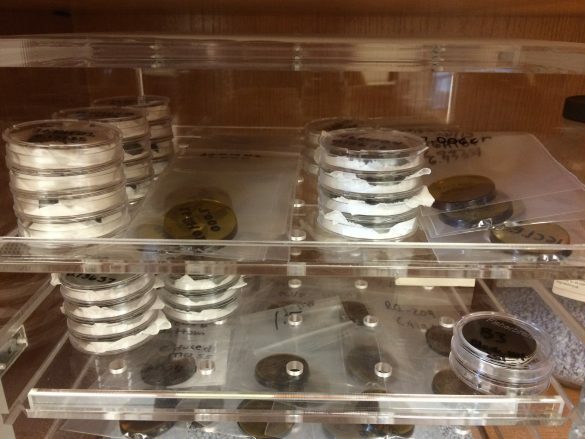 The result of all of our hard work is a desiccator full of samples ready for the XRF. Another part of our work involves analyzing the compositions of volcanic glasses. 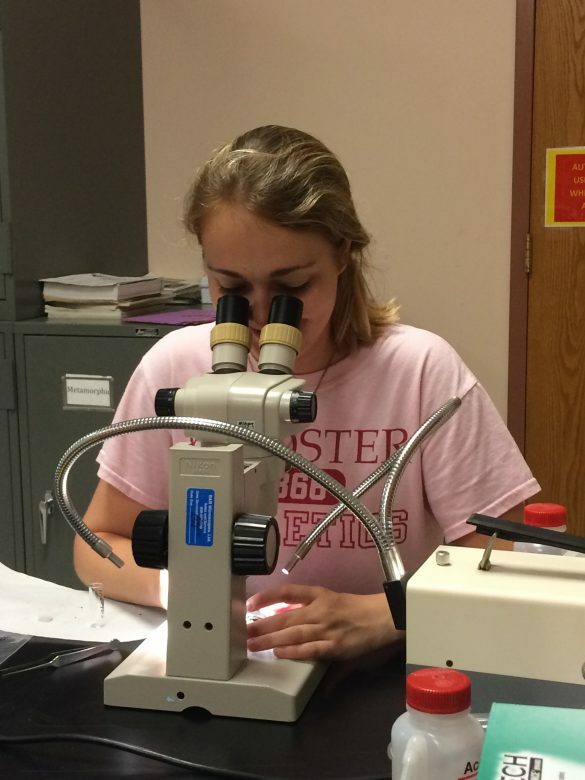 Chloe Wallace (’17, Wooster) is picking out the freshest glass so that she can polish it for analysis by FTIR (Fourier Transform Infrared Spectroscopy) and Electron Microprobe. The FTIR will allow us to measure H2O contents while the microprobe will give us chemical compositions over small spatial scales. 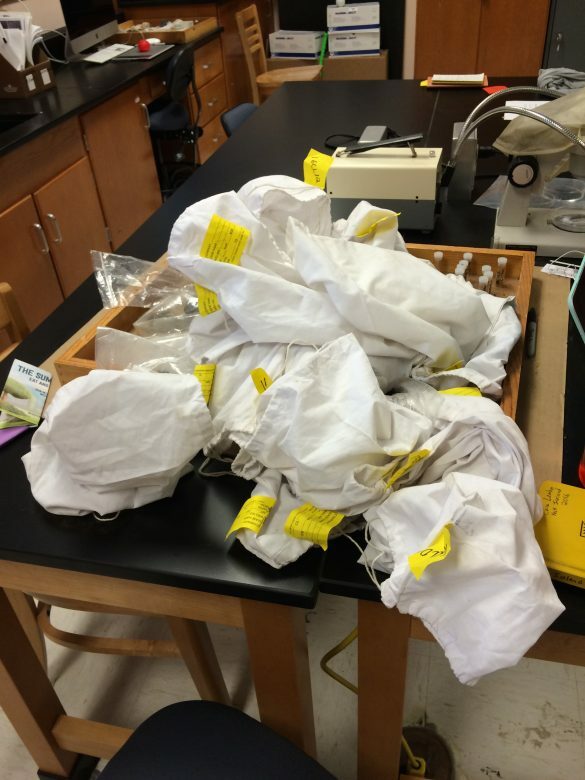 Lab work entails more than physical preparation of samples. 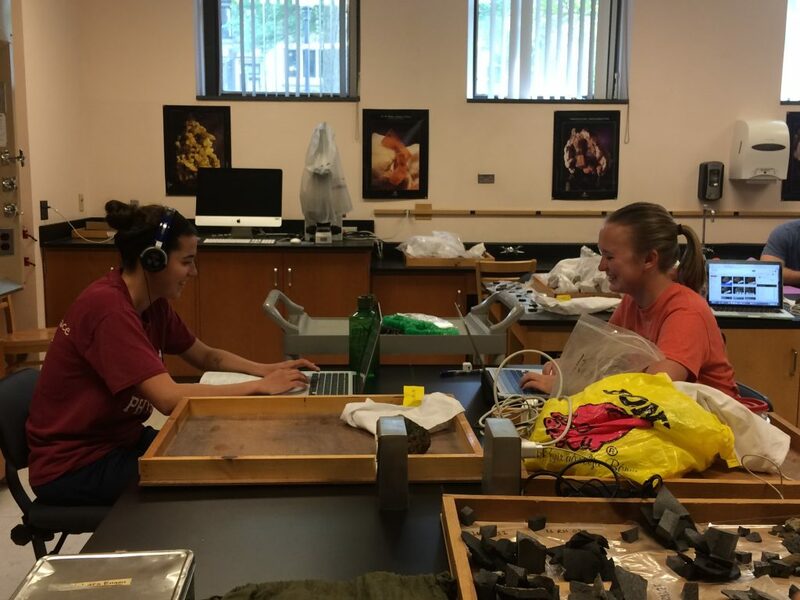 Michelle Orden (’17, Dickinson College) and Anna Thompson (’17, Carleton College) are analyzing high-resolution photos of pillow lavas to understand the physical volcanology. 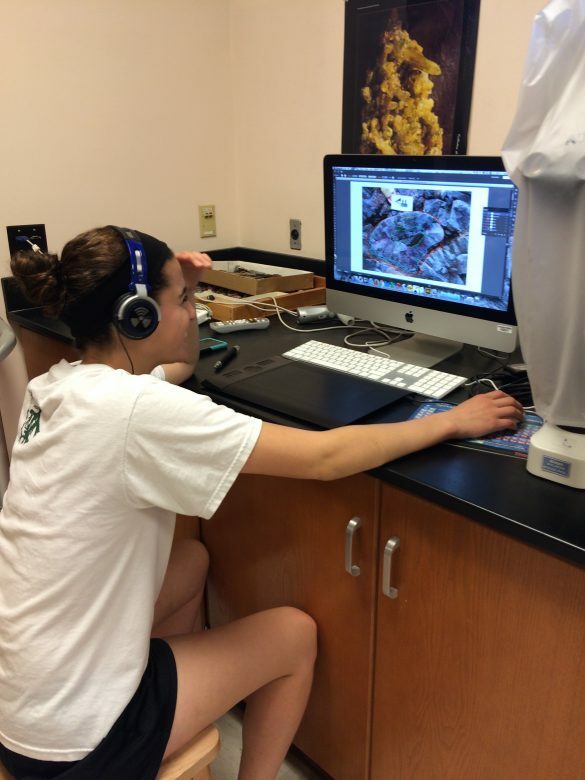 Michelle is identifying fracture patterns in her images. 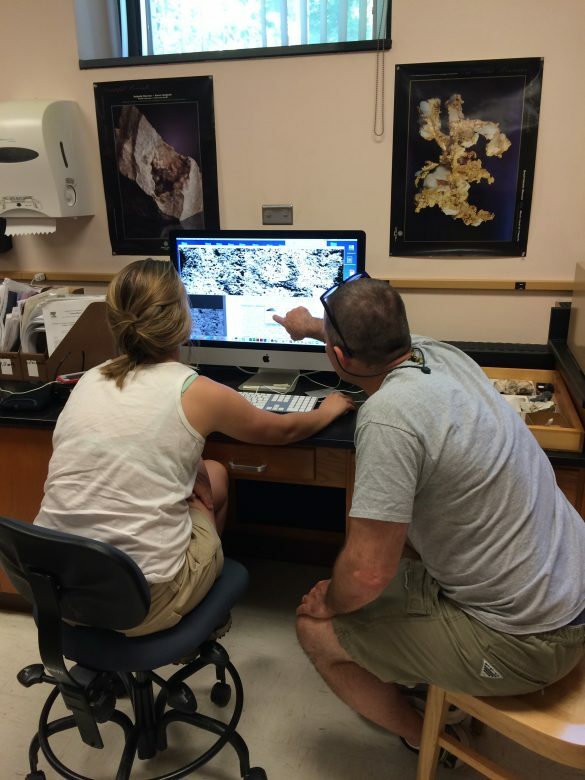 Anna and Ben Edwards (Dickinson College) are identifying vesicle patterns in pillow lavas. It’s not all work, of course. 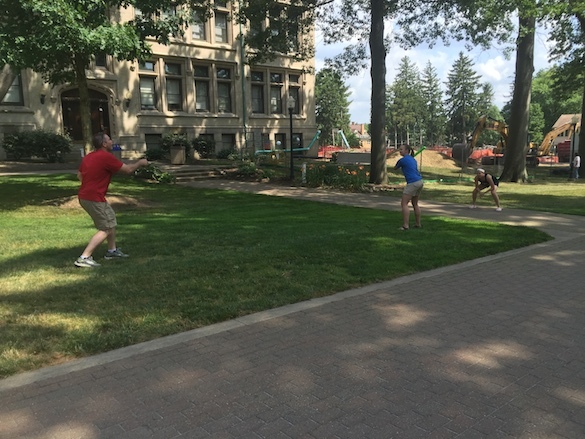 We occasionally take breaks to play wiffle ball and frisbee on the quad. Well done, Keck Iceland. It was a pleasure to share Scovel Hall with you.